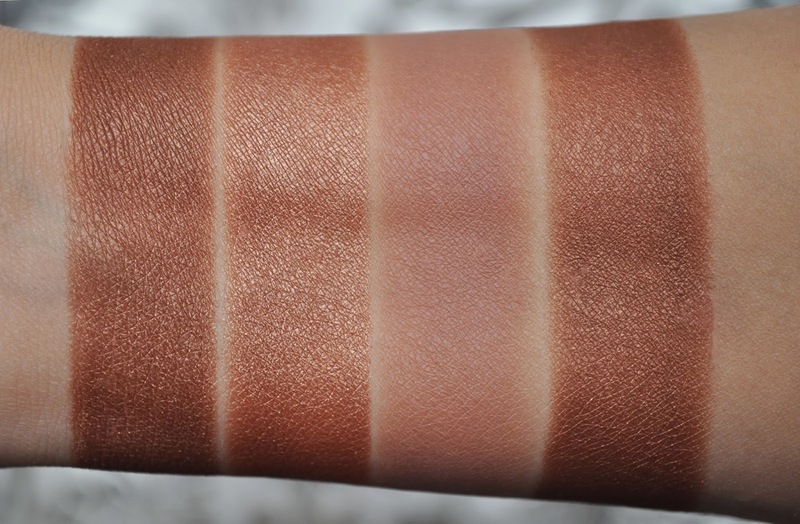 Givenchy Le Prisme Mono Eyeshadow 09 Modish Brown (swatches clockwise). 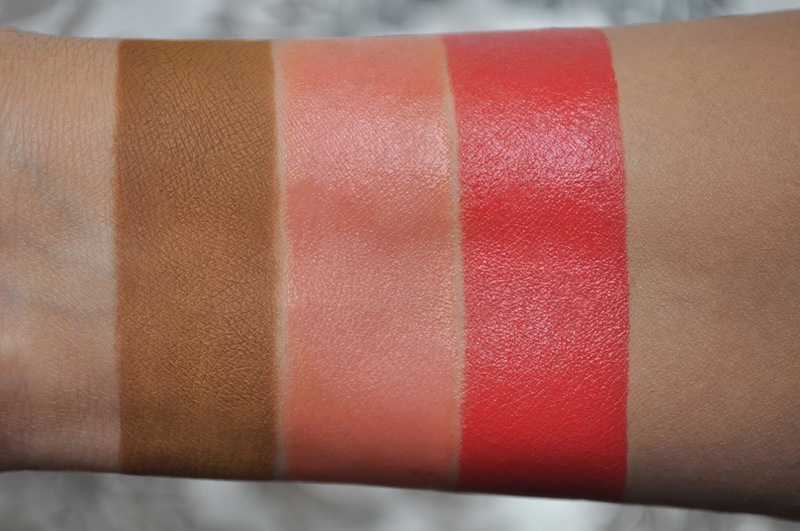 From left to right: Mac Ochre Eyeshadow, Givenchy Croisiere Coral Blush Gelee, Givenchy 304 Mandarine Bolero Le Rouge Lipstick. Givenchy Blush Gelee Jelly Blush in Croisiere Coral. The matte brown shadow (bottom left corner) in the crease. Mixed the other three shadows (top left, top right and bottom right) and placed on the lid. Mac Eyeshadow in Ochre (along the lower lashline). Mac Liquidblast Liner in Coco Bar (upper lashline). 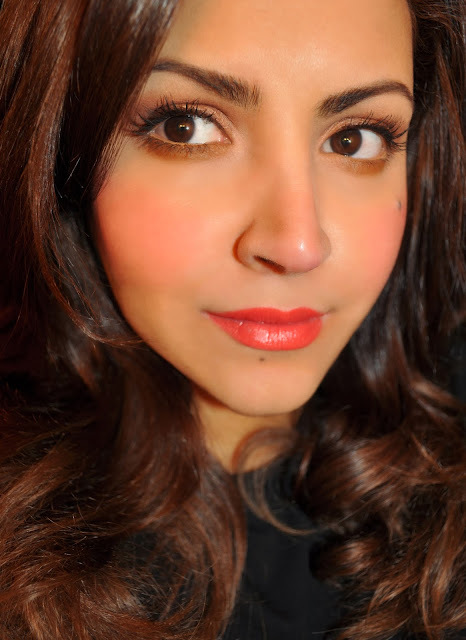 Givenchy Le Rouge Intense Color Sensuously Mat Lip Color in 304 Mandarine Bolero.